Ana Zivanovic-Nenadovic, senior policy analyst and internship coordinator, with the 2017 Coastal Policy and Restoration interns after graduation at the Pelican Awards. From left: Lakshya Dhar, Summer Rich, Morgan Rudd, Marygrace Rowe, Mackenzie Taggart and Jackie McGarry. This summer’s Coastal Policy and Restoration Interns each worked on their own project while balancing restoration workdays and meetings with coastal scientists, policymakers and others. The three Stanback interns — Layshya Dhar, Jackie McGarry and Morgan Rudd — will finish up their master’s degrees at Duke, while Summer Rich, Marygrace Rowe and Mackenzie Taggart return to their own respective universities and jobs. One of the interns, Summer Rich, maintained a blog about their experiences. Her posts can be read here. 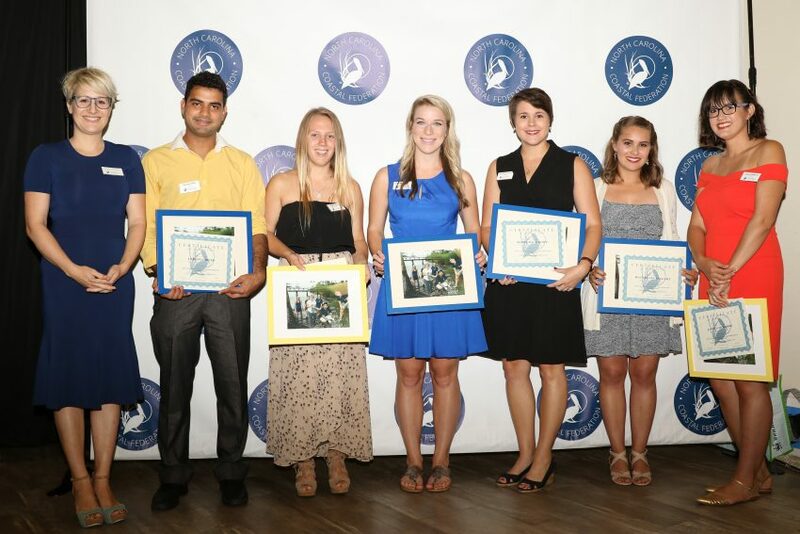 The six interns finished their internship on Aug. 4 and graduated at the Pelican Awards and 35th Anniversary Soundside Soiree the following day. Continue reading to learn more about their perspectives and experiences. 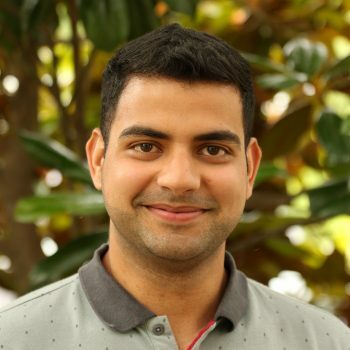 L akshya Dhar, a Master of Engineering Management student at Duke University, prepared and developed a tool to estimate the operation and maintenance cost for different types of stormwater control measures. Dhar said he chose to intern at the federation because he would be able to learn more about field work while putting to use his knowledge about improving coastal water quality. He also said that having lived inland his whole life, he enjoyed experiencing the Atlantic coast. While Dhar worked independently during his project, he said he was impressed by the amount of support and trust other staff members placed in him. Dhar will return to Durham for his final semester at Duke. “I plan to use this experience as a guiding light and focus on developing clean and sustainable technologies which can work in harmony with the environment,” he said. Jackie McGarry worked on several projects related to living shorelines this summer, including outreach materials and a citation list for researchers. 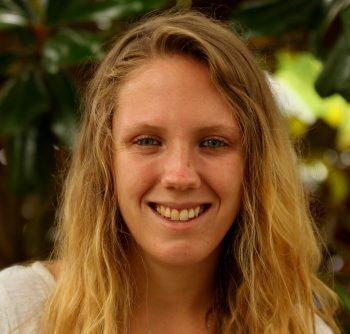 She started working with the federation on a marketing plan for the Living Shorelines Academy during her spring semester at Duke’s Nicholas School of the Environment. McGarry, who had previously lived in Washington D.C. for several years, enjoyed the field days and learning more about North Carolina’s coast. She said she was surprised and impressed by the scope of the federation’s work. “They really seem to take a holistic view of keeping the coastal environment healthy and productive,” she said. McGarry will be in Beaufort for the rest of the year, where she is taking classes at the Duke Marine Lab. She plans to return to the D.C. area after her graduation. 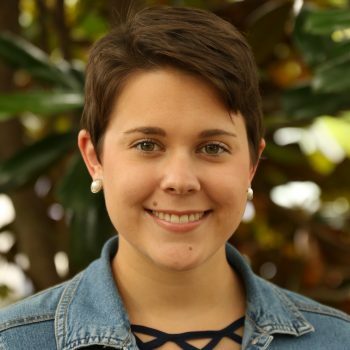 A native of Atlantic Beach, Summer Rich chose to apply to the federation’s internship because of all the work the federation has done in the area. 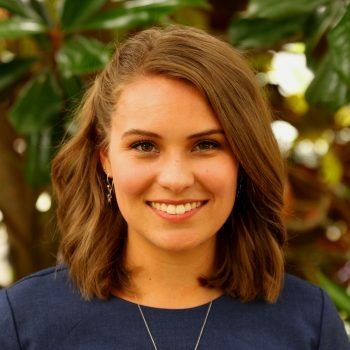 “I figured it would be a perfect fit since I’m pursuing my master’s degree in public administration with a concentration in nonprofit management, and I would have the opportunity to participate in projects that help protect our coast,” she said. Rich said learning about living shorelines was interesting to her, and she was surprised more people did not invest in them as they are affordable and a proven and effective way to mitigate shoreline erosion. Rich’s project was to lay the groundwork for a North Carolina Oyster Trail. She researched the components of other states’ oyster trails and drafted a strategic plan for one in North Carolina. Because of her time researching oyster mariculture, she said the trip to UNC-Wilmington’s experimental hatchery was the most interesting component of her internship. Rich also wrote the blog posts detailing the interns’ experiences this summer. She returns to Appalachian State University for the final year of her master’s program. Marygrace Rowe spent her summer researching and creating a summary about shellfish mariculture programs in nine other states. She studied seven parameters of each of the plans. Rowe said that she was surprised by the level of responsibility she was given since she did not have any background knowledge on shellfish mariculture, and she appreciated the trust the federation placed in her abilities. “I chose to intern at the federation because I wanted exposure to the process of translating scientific knowledge into sustainable policy,” she said. For Rowe, the most interesting part of the internship was the trip to the UNC-Wilmington shellfish research hatchery because she was able to see what she had been researching in action. 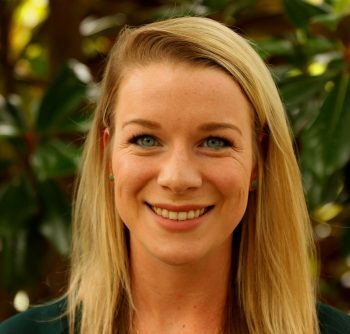 A graduate of N.C. State University, Rowe will be staying in the area and working at the UNC Institute for Marine Sciences at Christine Voss’s lab in Beaufort. Morgan Rudd, a Virginia native, spent her summer researching the ecological impacts of the invasive species Phragmites australis. She also looked into the impacts of various management strategies for the plant, and she presented these findings at a workshop in July. 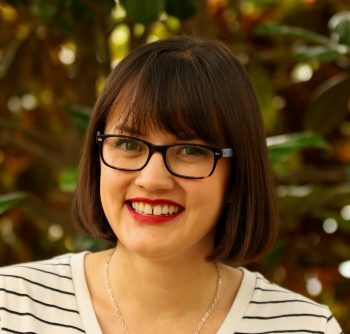 Rudd chose to intern at the federation for both the field and policy experience, and her favorite days of the internship were the ones spent in the field. She said she’s been surprised by the amount of work the federation accomplishes. “Any time someone has asked me what I’m doing for the summer, they have nothing but good things to say when I tell them that I’m interning at the federation,” she said. Rudd will be in Beaufort for the next year. She is completing her final year of her master’s program at Duke’s Nicholas School of the Environment. Mackenzie Taggart came all the way to the federation from California. She had never been to the North Carolina coast before and enjoyed the change of scenery. “I chose to work with the federation because I wanted to learn more about the policy around coastal ecosystems and restoration efforts,” she said. Taggart started working on the development of a watershed restoration plan for Lake Mattamuskeet in Hyde County. She created several maps using GIS and drafted an annotated bibliography to compile research that has been done about the lake and to determine what still needs to be researched. She said the most interesting thing she learned during the internship was the regulations and policies behind beachfront property. Taggart will soon be returning to the federation as a fellow. She will continue work on the Lake Mattamuskeet watershed restoration plan before starting graduate school next year.